Are you stuck transcribing dictations and recordings on an outdated system? Are your law enforcement professionals having their time sucked up by transcribing accident reports, interviews, witness statements, internal affairs investigations, etc.? If yes, outsource law enforcement transcription services to professionals and free your law enforcement teams to do what they do best. At Outsource2india, we have the bandwidth to support your law enforcement transcription needs. Our human translators use the latest transcription technology to turn the audio and video files into the written format of your choice. With a turnaround time of 24-48 hours, we can deliver accurately transcribed and proofread files in digital or printed format. By choosing us, you need not hire dedicated professionals to carry out law enforcement transcription. Make a smart choice by choosing Outsource2india. 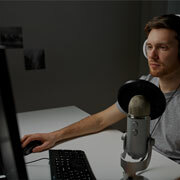 Why Should You Outsource Radio Show Transcription Services to Outsource2india? We work relentlessly to make your law enforcement transcriptions reliable for documentation and legal process. O2I's focus on quality has been the driving force behind the client's success stories. Today we feel proud to have become ISO 9001:2015 certified law enforcement transcription service provider. We are ever-vigilant while handling confidential legal data especially because of the potential risk of destruction or tamper in the digitized world. Therefore, we make your concerns vanish by taking proactive measures to stop your data from falling into wrong hands. Our consistent success in ensuring the safety of law enforcement transcriptions and other digital data has earned us ISO/IEC 27001:2013 accreditation. Get finished transcriptions that are accurate and reliable by outsourcing law enforcement and police transcription services. 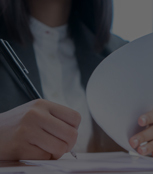 At O2I, we perform multi-tier quality checks to ensure that the transcribed document is perfectly proofread for documentation and legal formalities. Choosing a law enforcement transcription company like ours can enhance your productivity because we can work under tight schedules to deliver error-free and fast law enforcement transcriptions. The turnaround time for law enforcement transcription service from O2I is significantly faster than other providers. Outsourcing law enforcement transcription services to O2I is the right choice if you are looking for scalable solutions. Our transcription services can be customized should the volume of requirements rise or fall. The cost of law enforcement transcription services is budget-friendly. Therefore, if you are having a small budget we have you covered. We can adjust the pricing by considering your requirements so that you get the best value. Our clients are happy to outsource law enforcement transcription services to O2I because we offer a single point of contact to handle their concerns and reporting needs. A dedicated project manager will be assigned to every project so that the transcription services can be completed in the most efficient manner without information silo. We have the best transcriptionists who have worked in transcription projects of varying complexity for 10+ years. Our team of high-caliber law enforcement transcriptionists have years of experience in legal terminologies and have excellent skills in interpreting languages and accents from around the world. The infrastructure at O2I is optimized systematically to our help our team complete the transcription in a secure and fast manner. Our software, hardware, and security systems are state-of-the-art in performance and have consistently delivered satisfying results. We have several tools that take care of the file transcription format. The transmission of data is taken care with diligence because it is our objective to prevent your sensitive data from loss or misuse. We use SFTP and VPN that facilitates a secure transmission of your data to our digital storage. We maintain the confidentiality of the projectthanks to robust data security measures. You can reach our agents anytime, anywhere because we can provide support at your local time zone. Our agents can be contacted by phone, email, or web chat support. The law enforcement transcription is another major offering from Outsource2india's legal transcription services. 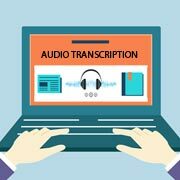 Being a leading provider of transcription services in India we have surged ahead of the competition in 20 years after our inception. 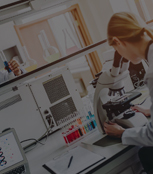 At the heart of our services is a team of transcriptionists specialized in multidomain transcription. 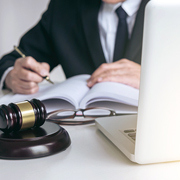 Outsourcing law enforcement transcription services can guarantee satisfaction because we strictly adhere to the non-disclosure agreement customized for your project. Our rates are not only flexible but also budget-friendly, so you can take complete advantage of our services even if you are on a limited budget. Contact us to get a quick quote for law enforcement transcription services. Leave your concerns to us while you focus on growth.